Are you an illustrator? Graphic Designer? Today I am excited to share 5 unique online marketplaces to sell your illustration work. These online marketplaces are excellent options for passive income side hustles and some could even replace a full-time income (With hard work over time of course)! This list includes some popular options as well as some relatively new and unknown marketplaces. Without further ado, let's dig in! 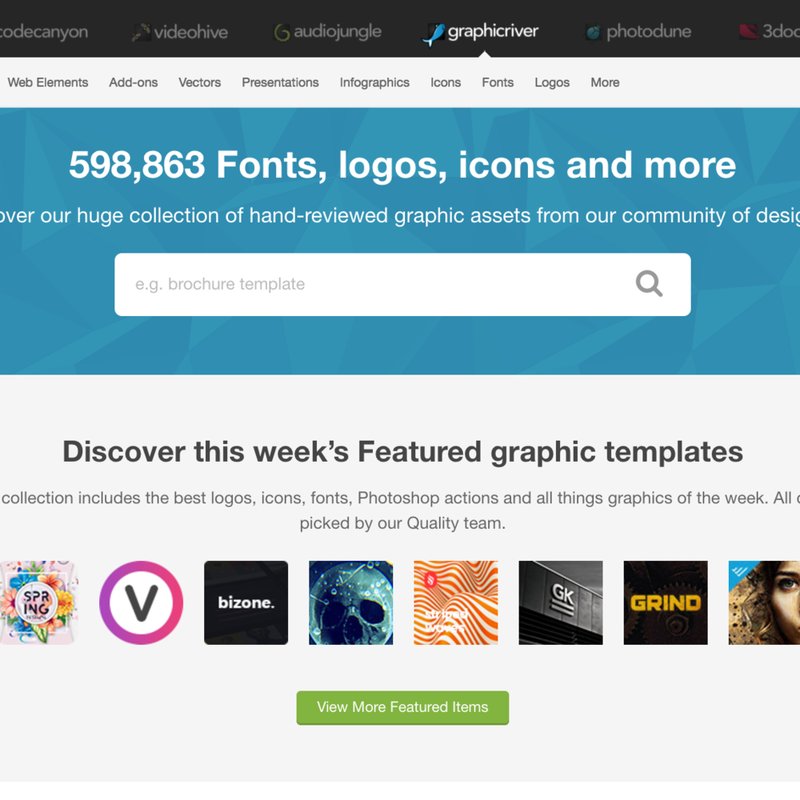 I have bragged about Creative Market in old blog posts. I love it so much! I have my own shop on Creative Market where I add new products regularly. It's one of the newest up-and-coming designer marketplaces. It really has that high-quality feel to it. The user interface feels up-to-date and the designs offered on the marketplace are high-quality. You can sell illustrations here as well as a variety of other products: photos, web templates, vectors, 3D models, fonts, add-ons, and more! Some popular illustrators on Creative Market include Marusha Belle, YetiCrab, and Lisa Glanz. I recommend checking out their shops to see how they sell their illustrations and how they present themselves. Why do I love Creative Market? You get 70% of each and every sale you make! This is the highest payout of any online marketplace! FREE Downloads! Even if you don't open a shop, Creative Market offers 6 FREE downloadable goods every week. If you become a shop owner, you have the option to offer up one of your own goods to generate traffic to your shop. Lovely shop front user-interface with large thumbnails that showcase your products nicely and tell your customers what your product is upfront. Over 8 million members. This is TREMENDOUS! Hands down the largest and probably most well-known marketplace. IF you don't sell exclusively with Envato their author fee is 55% + the buyer fee. FREE Goods. Once a month. RedBubble is an online marketplace that allows artists to sell their work on print-on-demand products. All the artist does is upload and arrange their artwork on the product and set their preferred profit margin. Redbubble handles printing, shipping, and returns. There have been TONS of Youtube videos and articles written about whether and artist should use RedBubble or Society6. I haven't used RedBubble, but I have done a lot of research. Based on what I have found, a lot of artists seem to prefer RedBubble high quality products, higher profit margin, variety of items to choose from, and the option to set your own profit margin. Now, even if you set your profit margin to 40% you still aren't making a lot of money, but if you are a fan of passive income, this might be a great place to sell some of your work. Easy to use! I messed around on the back-end and uploading a product is SUPER easy. Once you upload a design, they show you their entire product collection with your design printed on it. They also show you a preview of what the printed piece will look like. You can easily toggle certain products on or off and rearrange the placement of your design. 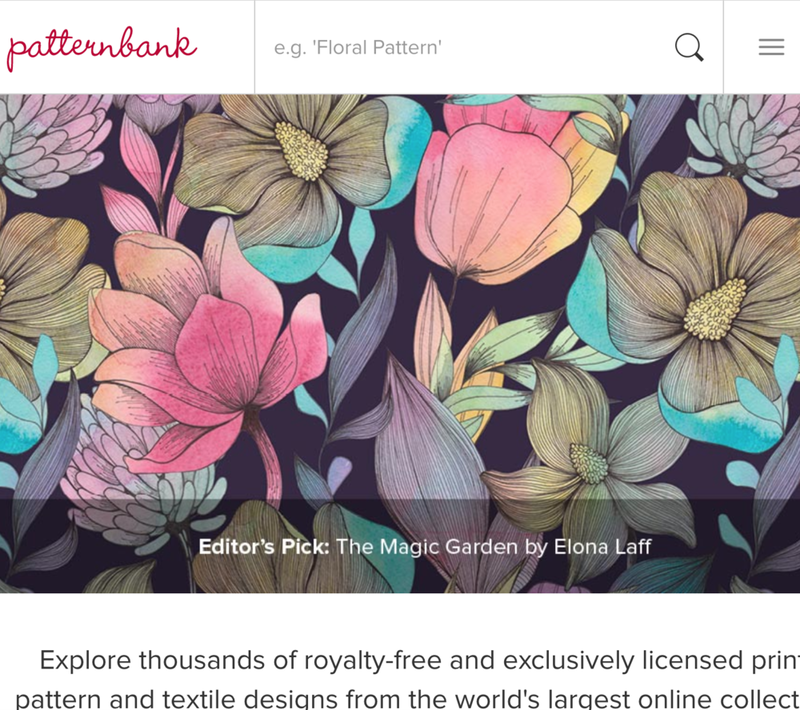 Patternbank is a high-end design marketplace for pattern and textile designs. Patternbank is more exclusive with their designers. Although anyone can apply to be a designer, it doesn't mean you'll get accepted. This keeps the marketplace from getting overcrowded and ensures that only high-quality designs are being created. I haven't applied to be a designer, but it is definitely an marketplace I am thinking of exploring. 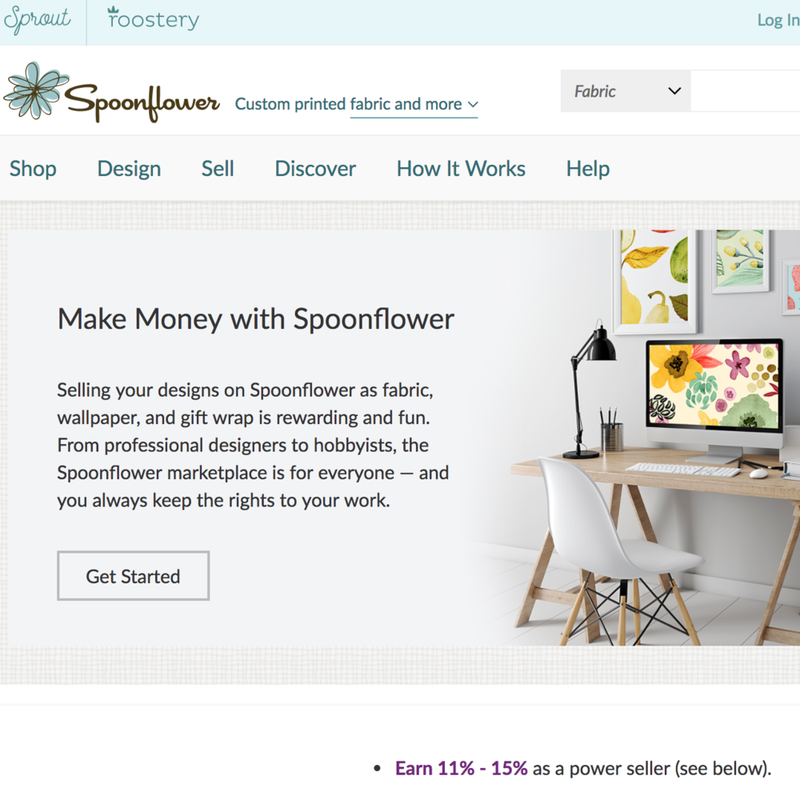 Spoonflower is similar to Patternbank in the sense that they sell pattern and textile designs. They function more like a print-on-demand service that sends the final printed product to your customer. If you are interested in pattern and textile design this might be a good introduction marketplace for you to dip your toes in. Unlike Patternbank, anyone can start selling designs. You don't have to worry about being accepted or declined. Know of any other online marketplaces perfect for selling illustrations? Share in the comments below! I'd love a like or a share! Thanks!